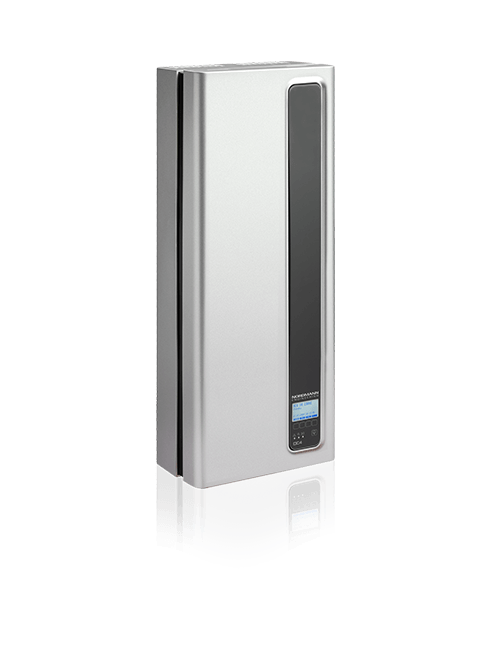 The NORDMANN DC4 produces sterilized, hygienic, odour-free steam. With auto-sensitive temperature control and innovative technology generating between 2 and 4 kg of steam per hour, it meets all the requirements for safe steam bath operation in private homes and hotels. 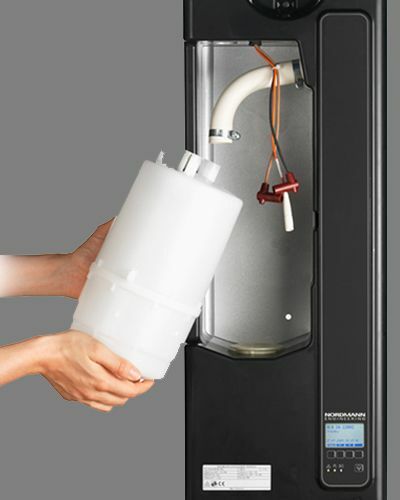 You don’t have to be a technical wizard to understand the NORDMANN DC4: the housing lifts off completely and the cylinder can simply be removed and exchanged. The current-bearing components and electronics are so well protected that it is impossible to touch them when changing the cylinder. management system ensures that even blowdown operations require a minimum of additional water. On the NORDMANN DC4, all control data and instructions can be read off from the large liquid crystal display. The desired settings are entered in cleartext using the intuitive menu. 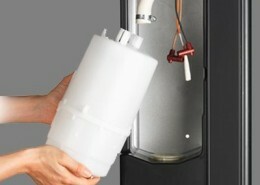 The steam generator’s smart design permits safe, easy replacement of the cylinder. The electronics and other current-bearing components are effectively protected against water and cannot be touched. 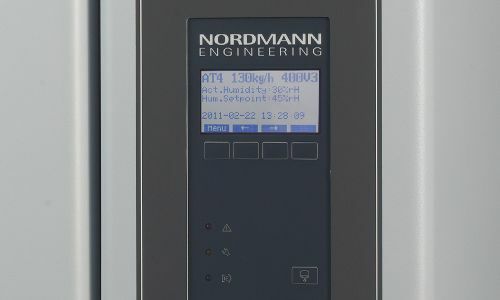 Thanks to its simple, clear-cut design, relatively small size and – if desired – concealed water and power connections, the NORDMANN DC4 blends perfectly into any type of steam bath environment.